Looks like there are enough Wine Festival already established for the Denver area. 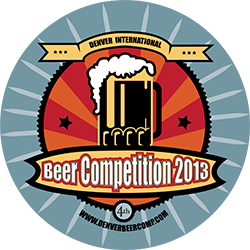 The promoters of the new Colorado International Wine Festival have decided to postpone their event until Spring 2014. We wish them luck! There are more than 100 wine festivals in Colorado alone and perhaps wineries and distributors are feeling that they need to preserve their wine and energy. The Art Of The Wine Glass! Nothing upsets me more than a restaurant that provides sub par wine service! Most common wine no no's are serving excessively cold white wine from a refrigerator. The second is crappy wine glasses. I feel that if a restaurant sells wines on their list for $40 or higher, that they should provide them to their customers in a good wine glass, period!